Born and raised just outside of Detroit, “The Motor City,” Ted Stahl is a successful entrepreneur, business owner, and inventor. He had always been a collector of antique mechanical items, tractors, farm tools and bicycles, with an eye for outstanding design and a deep appreciation for beautiful craftsmanship. In 1990 Ted purchased a 1930 Ford Model-A Roadster Deluxe. The Model A was a way for Ted and his wife Mary Stahl, to share this appreciation with the children. They spent many hours rebuilding the engine, tinkering with the transmission, polishing and bringing the car back to its former glory. It was just the beginning of the family’s love affair with classic cars. 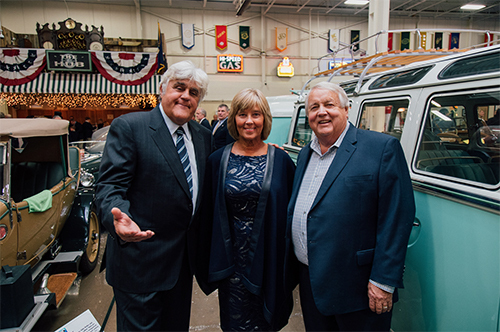 The Stahl family passion for motorcar design has grown into one of the nation’s premier collections of vintage vehicles and automotive memorabilia. 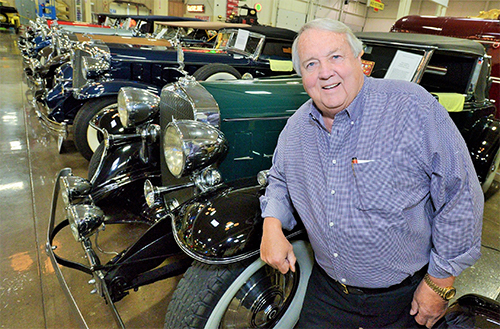 Today the Stahl Automotive Collection in Chesterfield, Michigan features more than 125 classic cars from the Brass, Depression, Pre/Post War and Modern Eras; including one-of-a-kind treasures such as, a 1948 Tucker, 1928 O.W. 4.5 Bentley and 1926 A.C. Roadster. The Stahl Family is dedicated to sharing the collection with as many people as possible. Open free to the public on select days, visitors can experience the cars and multi-sensory exhibits—original Route 66 signage, vintage neon lights and gas pumps, a drive-in theater, a 50’s diner replica and interactive displays. 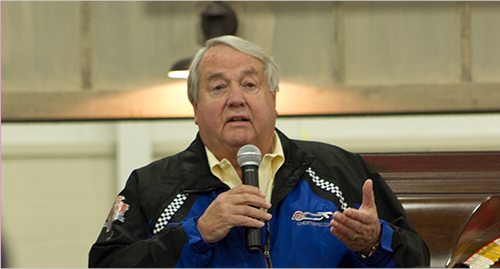 According to Ted, “Our goal is to educate and inspire people with an appreciation for the history of automotive design and its impact on life as we know it.” Additionally, it’s all set to the bells and whistles of a 1924 Wurlitzer Pipe Organ and other fantastical, mechanical music machines.